The baby is coming soon! 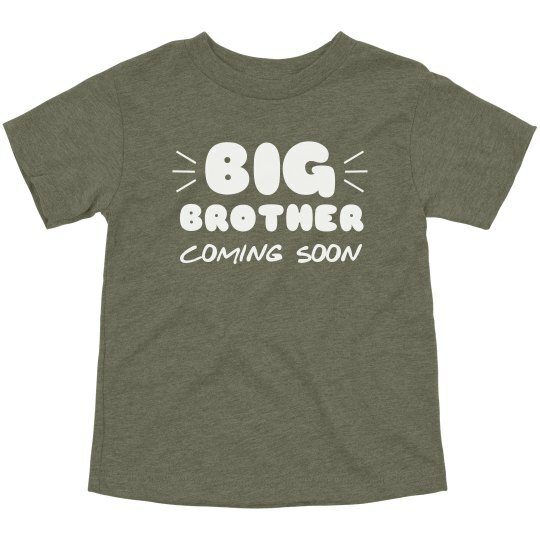 Time to outfit your little one in a Big Brother tee to help make the announcement. This design is cute as well as customizable on the back. Add his name, and he will be all set for the big day!